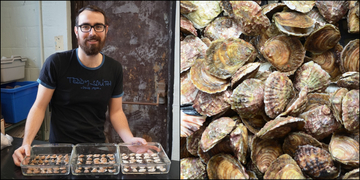 Scientists at the Northeast Fisheries Science Center’s Milford Lab are shining some light on ocean acidification by examining how a more acidic ocean affects the oysters, surfclams, and scallops that we eat. The results of this project will help managers forecast fishery responses to climate change and provide recommendations for oyster growers and surfclam and scallop fishermen. 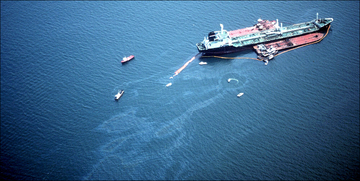 The Oil Pollution Act of 1990 significantly improved measures to prevent, prepare for, and respond to oil spills in U.S. waters. It requires those responsible for the oil spills to pay for the costs associated with cleanup, environmental assessment, and restoration. A new Story Map examines the events of 1989 that inspired the Oil Pollution Act. The National Fish and Wildlife Foundation, in collaboration with the NOAA Marine Debris Program, requests proposals for the 2019 Fishing for Energy Partnership. Up to $1 million in grant funding is available for strategies to reduce the impacts of derelict fishing gear on the environment and navigational safety. Proposals are due April 25. Improving the health of our ocean requires investment. But that investment doesn’t have to be a choice between our planet and our pocketbooks. Sometimes solutions to ocean problems can save money. Learn about three solutions to ocean problems that NOAA researchers found save or even make money. 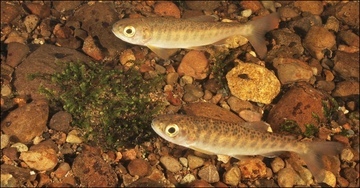 The work of NOAA and our partners to restore estuary habitat in Oregon’s Tillamook Bay created 443 acres of various estuary habitats critical to juvenile coho salmon. A recently published study confirms that the restoration project also reduced flooding in surrounding communities and farmlands. By April 23, please submit your comments on NOAA Fisheries’ proposed rule to revise the annual reference points (including the overfishing limit, acceptable biological catch, and annual catch limit) for the central subpopulation of northern anchovy off the Pacific coast under the Coastal Pelagic Species Fishery Management Plan. NOAA Fisheries extended a voluntary vessel speed restriction zone previously established south of Nantucket to protect a group of 15 right whales sighted in the area on April 7. This zone is now in effect through April 23. NOAA Fisheries' lab in Milford, Connecticut, is known for its long-standing international research relationships, and is currently hosting post-doctoral researchers from around the world. Meet Emilien Pousse, a post-doc from France investigating the impact of ocean acidification on the development and metabolism of oysters and surfclams. 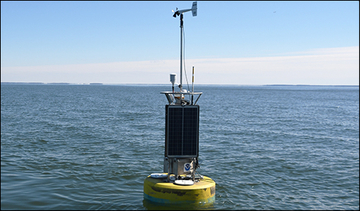 Each spring, the Chesapeake Bay Interpretive Buoy System team looks forward to redeploying buoys that were pulled late the previous year to avoid potential ice damage during the winter. This year, the team is transitioning to using a new kind of buoy. 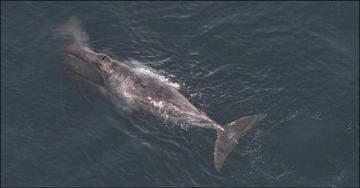 Bowhead whales generally live in Arctic waters, migrating north into the high Arctic in the summer months and south to lower latitudes of the Arctic in the winter. But for the past few years, one bowhead has been sighted in the waters off Cape Cod. Last day of the Mid-Atlantic Fishery Management Council meeting in Avalon, New Jersey. Free Protected Species Safe Handling, Release, and Identification workshops in Warwick, Rhode Island. Pacific Fishery Management Council meeting in Rohnert Park, California. Western Pacific Fishery Management Council meeting via teleconference. Annual spring meeting of the Advisory Committee to the U.S. Section to ICCAT. New England Fishery Management Council meeting in Mystic, Connecticut. Four public meetings on the Mid-Atlantic Fishery Management Council’s 2020-2024 Strategic Plan. Two public hearing webinars on Snapper-Grouper Regulatory Amendment 29, hosted by the South Atlantic Fishery Management Council. Two free Protected Species Safe Handling, Release, and Identification workshops in North Carolina and Louisiana. Two scoping webinars on proposed additions to the Dolphin-Wahoo Fishery Management Plan, hosted by the South Atlantic Fishery Management Council. Proposals due for FY 2019 Marine Aquaculture Pilot Projects. Proposals due for 2019 Fishing for Energy Partnership funding. Applications due for the South Atlantic Fishery Management Council’s Scientific and Statistical Committee. Proposals due for recreational fishing projects supporting the mission of Stellwagen Bank National Marine Sanctuary.